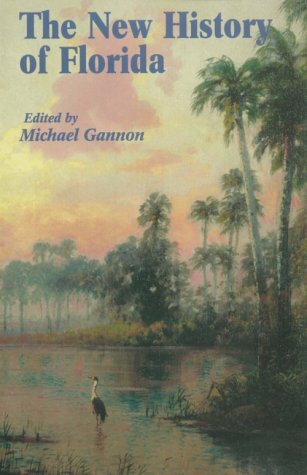 The New History of Florida, the first comprehensive history of the state to be written in a quarter of a century, is the culmination of the most recent and significant work from a galaxy of specialists. Each of the 22 chapters, which weave together in one continuous narrative, was written especially for this volume. Their authors present here not only political, economic, military, and religious information but also social history and personal experiences. Endnotes and a bibliography are appended to each chapter. Florida’s first inhabitants entered the peninsula and panhandle about 10,000 years ago. The Spaniard Juan Ponce de León stumbled ashore near Melbourne Beach in 1513. He called the place La Florida, the first permanent geographic name of European origin to be etched upon the maps of the American continent. Over three centuries of Spanish and English colonial history followed before the United States acquired Florida in 1821. The first state flag was raised over a new capitol in Tallahassee on May 26, 1845. Written to observe the sesquicentennial of statehood, this work will document the rich history of the Sunshine State for general readers, students, and scholars well into the twenty-first century. The Civil War, 1861-1865, by Canter Brown, Jr.
Michael Gannon, volume editor, is Distinguished Service Professor of History and director of the Institute for Early Contact Period Studies at the University of Florida. He is the author of Rebel Bishop (1964), The Cross in the Sand: The Early Catholic Church in Florida, 1513-1870 (UPF, 1965, 1983), Operation Drumbeat (1990), and the novel Secret Missions (1994); as well as the bestselling Florida: A Short History (UPF, 1993), which won a Certificate of Commendation from the American Association for State and Local History.